Counting Sheep – but still can’t Sleep? Helping our patients break out of the cycle of sleep deprivation is almost as important as maintaining a healthy schedule with your adjustments. Lack of sleep not only affects your ability to function but similarly it also plays a toll on your overall health. 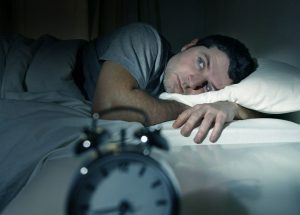 There are multiple reasons and causes why our patients cannot sleep – statistically over 30% of the adult population of the USA suffers at some point in their life from insomnia. Arguably this figure appears to be much higher in Singapore. Identifying the cause of sleep deprivation, or the factors that are preventing you from getting good rest are the first steps towards getting your sleep cycle and indeed your health back on track. 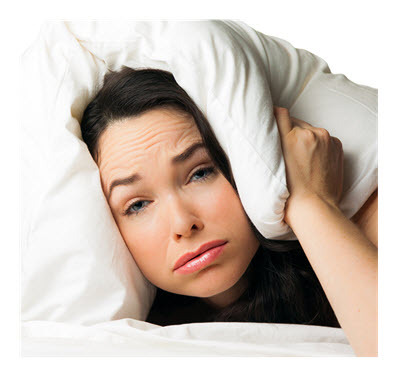 Eight places to start looking to address your Sleep Hygiene. Routine is important when it comes to sleep, if you have a consistent daily schedule or set of activities that allow your sleeping to maintain relatively similar timing, not only will your sleep be of higher quality – but you will also feel better throughout the day. People with busy schedules sacrifice sleep during the week and say they will make up for it on the weekends however, this tends to lead to insomnia when they go back to work – further propagating the issue. If you or your partner snores during their sleep, or they wake up a lot – sometimes gasping for air, there is a potential issue known as sleep apnea. This is a condition that happens when the air flow through your nose or throat is obstructed by the relaxation of some of the muscles in and around your air passage. Relatively easy to assess – if you have concern with sleep apnea your general practitioner can offer many options regarding treating this sleep condition. When our brain is holding on to the thoughts of the day and we are getting concerned or worried about those thoughts, stress can interfere with the processes that allow our brain to fall asleep. If your finding that stress is interfering with your ability to get rest, speak to our wonderful team of chiropractors at ActiveLife Chiropractic first, and we can help you to regain the good quality sleep you deserve. Depression, feeling sad or simply lacking interest is again, one of the most common causes of insomnia. Most often people who are suffering depression find themselves waking up particularly in the early morning for no apparent reason and this interference with good quality sleep can really put a toll on the body. Reliance on over the counter sleep aids for a “good” nights sleep can lead to a multitude of issues and problems, the over-reliance on medication for that one good nights sleep can drive dependance, leave you feeling foggy and drowsy the next day, and over time their effectiveness can become lesser, leading to higher doses with worse side effects. If you’re worried about your inability to sleep, talk to the team at ActiveLife Chiropractic and get the advice you need to make the right steps forward. Avoiding eating within four hours of bedtime is highly advisable because it takes up to that amount of time for the stomach to clear the food mass. Eating too close to sleeping can lead to gastric reflux, where the acidic contents of your stomach back-flow up the oesophagus. This heartburn, or burning sensations can be a leading cause of disrupted sleep. Finding the right environment to sleep in is ideal, if you share a bedroom it can be hard to find the happy medium of what is the “right temperature” research suggests that a room, slightly colder than expected actually allows for a deeper more ideal nights sleep. Some studies suggest temperatures between 18-20 degrees celcius for optimal sleep conditions. We all know this is a big one, but the usage of personal devices, electronic screens, phones, tablets, tv’s and computers too close to sleep can really be detrimental to sleeping hygiene. Too much exposure to the blue light at night can change our bodies internal clock. Two hours before bed we should already be reducing our screen exposure time, or limiting the blue light on our devices as this wavelength is the one that affects our brains rhythm the most. If you’re looking for more information regarding sleep issues or your own families lack of sleeping – call into either of our clinics. Our wonderful staff will be more than happy to assist with your enquiries.